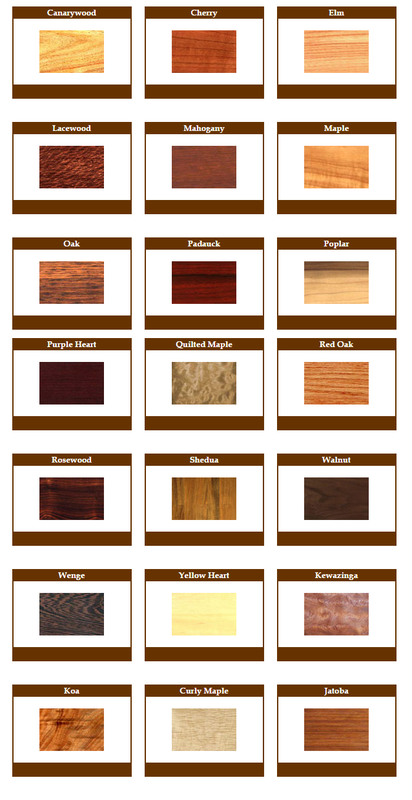 The current product offerings can all be customized to use the any combination of the following wood types. We prefer using the domestic woods as they are more readily available and indigenous to the areas. Each of the samples below serve only as a small representation of the wood we actually use. Given that wood always has some type of character to it, yours will be a bit different and in its own way unique.